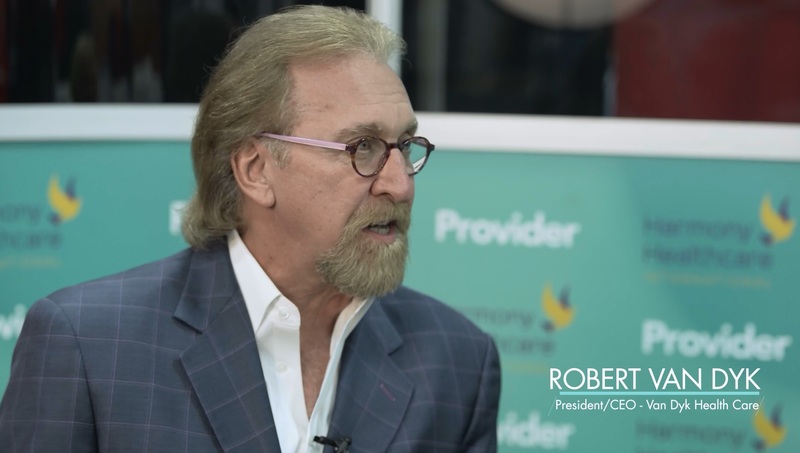 Interview with Billie Nutter, President of Casamba, Inc.
Tom Mack, Senior Vice President of Client Development at Harmony Healthcare International (HHI), interviews Billie Nutter, President of Casamba, Inc., in the 2018 AHCA Provider Lounge. As a leading expert in the post-acute care industry, Billie believes a big pain point facing LTPAC providers is data fragmentation. Providers are being asked to collect and report data to a wide array of entities, be it hospital partners, bundled payment groups and/or ACO networks. Billie notes that the amount of data being collected is at times staggering. With that said, it is often hard to compare one skilled nursing facility's data to another because the industry lacks standardized outcomes (and how those outcomes are measured). Billie believes long-term care providers need to find a way to share their data stories in order to truly show their successes and highlight their progress. As a response to this data dilemma, Casamba has developed tools to assist their clients in tracking real time data and provide predictive analytics. Kris Mastrangelo, President of Harmony Healthcare International (HHI) interviews Robert Van Dyk, the President and CEO of Van Dyk Health Care in the 2017 AHCA Provider Lounge. Robert shares his key tips for being a successful health care provider amid the sea of regulatory change. He stresses the importance of collecting and then analyzing data in order to get a seat at the table with the other health care players: ACOs, Hospitals, Managed Care, etc. (Audio transcription below). 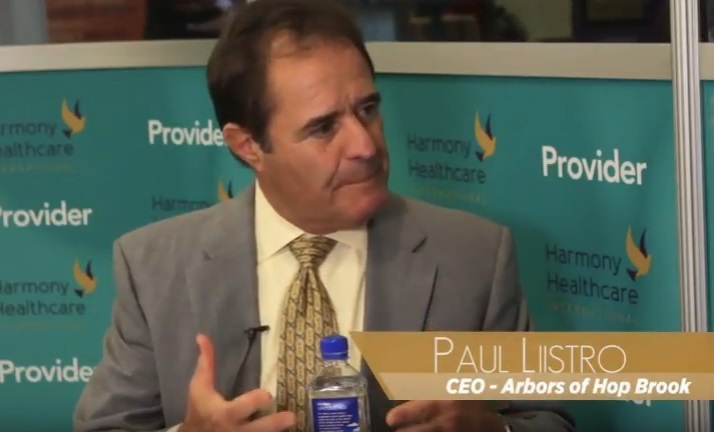 Kris Mastrangelo, President of Harmony Healthcare International (HHI) interviews Paul Liistro, Owner and CEO of Arbors of Hop Brook (CT), in the AHCA Provider Lounge. Paul relates his previous experiences of working in a family run nursing home with one piece of technology to working in his current facilities that utilize multiple software systems and cloud technology. With so much data, Paul discusses the importance of data analytics, including the possibility of even hiring a Data Analytics Nurse. (Audio transcription below).